Ever since seeing my cousin (who lives in Thailand) make a hot pink dragon fruit smoothie, I have been itching to do the same! 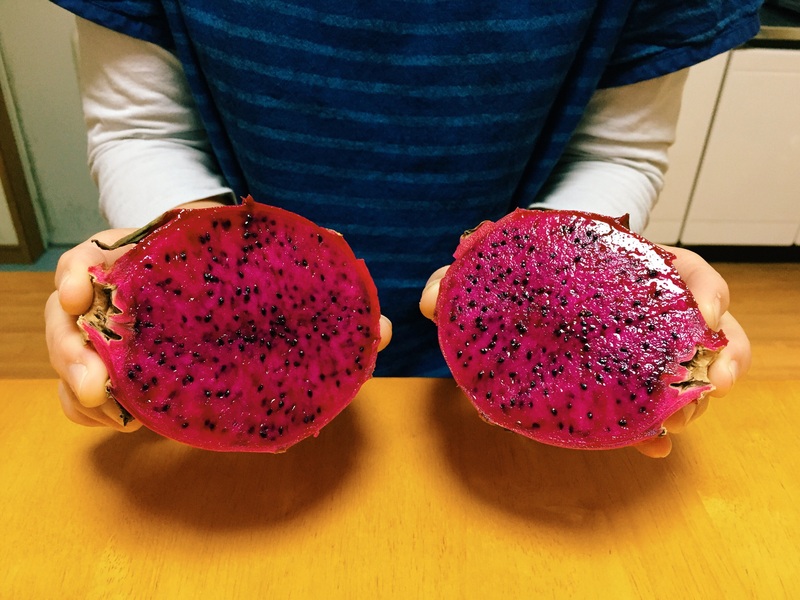 Unfortunately, I could only find white dragon fruits in NZ. Last week, I stumbled upon the funkiest fruit store in Kobe Chinatown. They had mangoes the size of rugby balls, pomegranates, green coconuts, akebi and PINK DRAGON FRUIT. 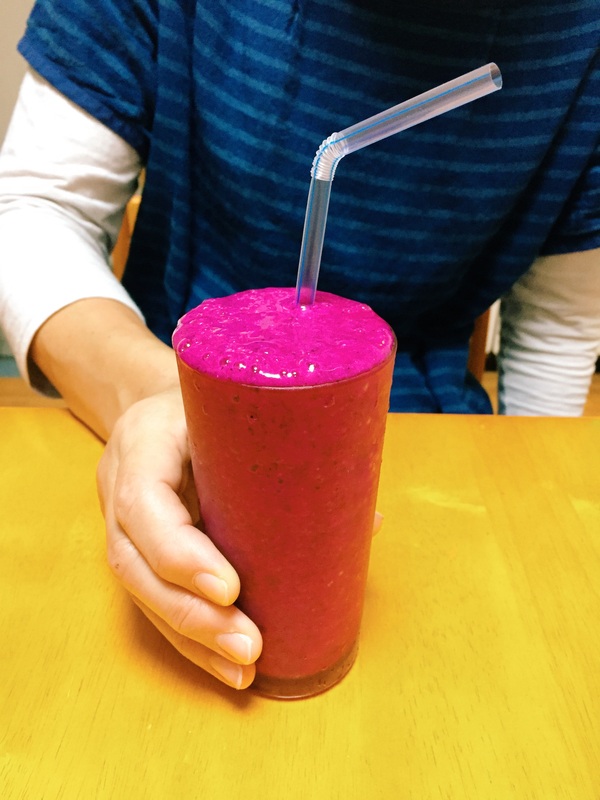 Yesterday, I combined one dragon fruit with banana and a little apple juice (just three ingredients) to create this. No photograph will ever do its vibrant color justice! I can’t believe it’s natural. WOW. Who needs artificial colors and preservatives? There is so much joy in eating well. ok, but did it taste as good and vibrant as it looks……hmmm……? It tasted like a banana smoothie! couldn’t really taste the dragon fruit!